Initially there were 6 families. Male 8 and female 5. and no children below 5 years. The word is spreading and people are using the water. There is 4ft of water.500ml theoline was sold. 5families.30people .good water used for drinking and cooking. 12ft water 600ml theoline give. the theoline has been sold to the owner. Over the period of time if the water quality is good the demand increases especially when the women come to know that rice and dal (lentil) cooks well using the dugwell water and many users agree that their stomach problems of slight wind, indigestion and dysentery type ailment has reduced. No health related study has been done yet. 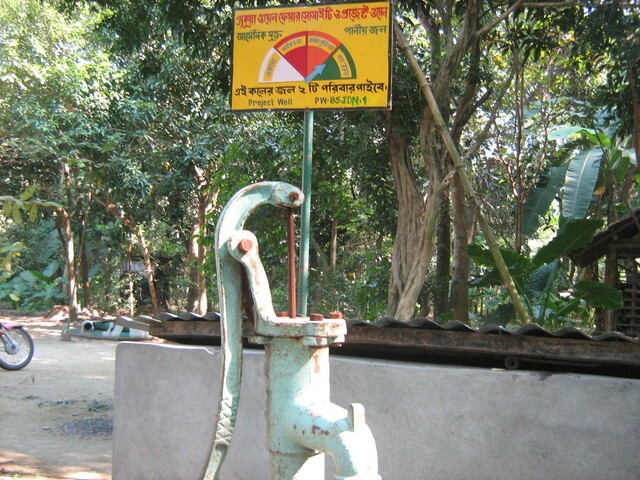 As of June 2012 5 consumers belonging to 2 families use this well. According to register records from July 2011, there are 10 beneficiary families and 35 consumers. Males=17, females=18, and children <5=0.